If any of you are interested in joining in, just let me know and I'll send you the contact info. It's a ton of fun. This looks like one fun cake!!! The sweetest garden I've ever seen. You'll have a Happy Halloween with this cheesecake. I'd love a couple of these inside my lunchbox. Have I mentioned how much I LOVE pumpkin? What!!! Christmas already??? Okay, maybe not yet, but that doesn't mean we can't start baking Christmas cookies, right? After all, the season is short enough as it is, might as well draw it out. 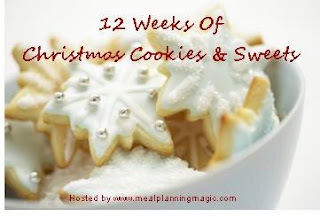 Yup, it's time once again for the 12 Weeks of Christmas Cookies. I had the pleasure of joining this group last year and had so much fun. Not to mention, I made so many new blogger friends and got recipe ideas galore. 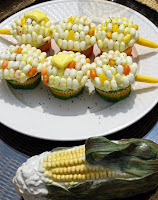 So, when I received an e-mail from Brenda, of Meal Planning Magic, saying that she was hosting it this year, I jumped at the chance to bake along with everyone once again. For my first pick, I chose a spice cookie. Yeah, big surprise there considering my love affair with all things spicy. In fact, I'm quite tempted to make every weekly cookie post about a different spice cookie (there's that many that I want to try). These Honey Ginger Bars were so good. 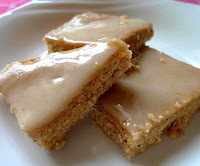 They were almost like a blondie, dense and chewy, and with lovely spiciness in every bite. 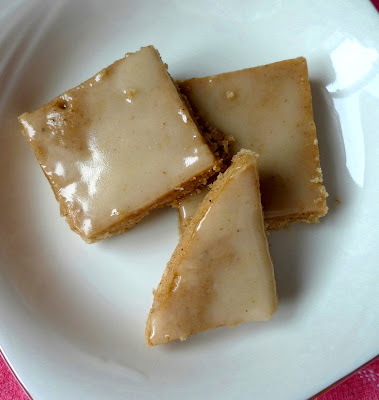 The icing really took it to the top and I could definitely see sprinkling this with a little candied ginger for an extra punch. The only change I would make is to add more black and white pepper next time, but that's just my personal preference. They're delicious either way. So, what are you waiting for? 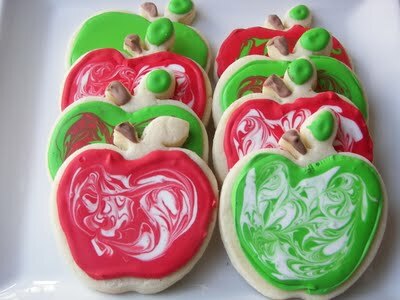 Crank up that Christmas music, make some yummy cookies, and get this season started. If you want to join in too, just drop a line to Brenda and she'll send you all the info. Hope you'll bake along. Mix butter and sugars in a mixing bowl until thoroughly combined. Add egg and mix well. Add flour, spices, and salt, and stir until the mixture is thoroughly combined. Press into a 9x12 baking pan that has been greased and floured and smooth with a spatula until the dough is even and flat. Bake at 350F for 20-25 min. until the cookies are a pale golden brown. Let cool. 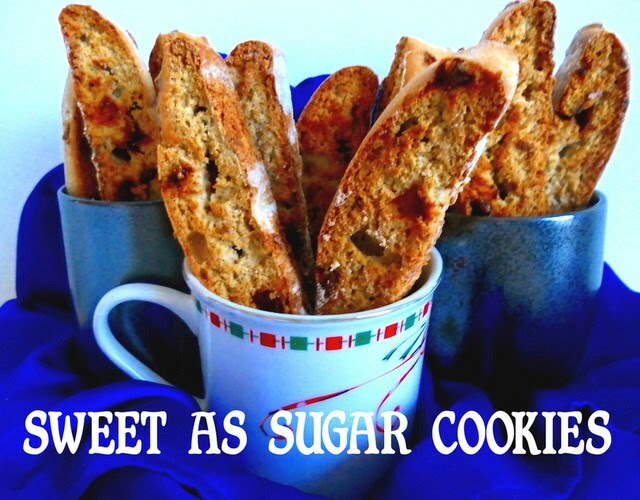 Mix all ingredients together in a bowl and add water until the icing is at a spreadable consistency, and spread over the cookies. Cut into squares. I think I've found a new love - baking bread. Not only is bread pure comfort food to me, but there's something about the making of it that's comforting as well. 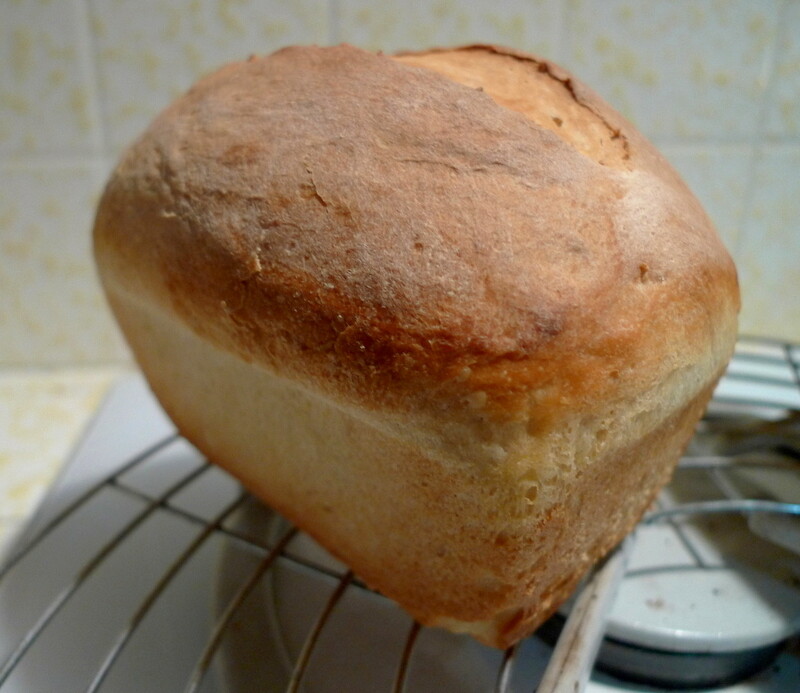 The constant rhythm as you knead it, the warmth in your kitchen as the loaves bake, and that yeasty aroma that surrounds you and is better than any perfume in my opinion. Consequently, I've been baking bread once a week. I search through countless blogs, looking for that one recipe that will catch my eye and tantalize my tastebuds. White bread, as good as it is, just won't do. No, I need something with a bit of a twist to it. This time, I found myself browsing through Monet's blog, Anecdotes and Apple Cores. She has so many wonderful bread recipes, all of her own creation (talk about talent), and she accompanies each recipe with a beautiful story about her life. Her blog never fails to nourish you in more ways than one. 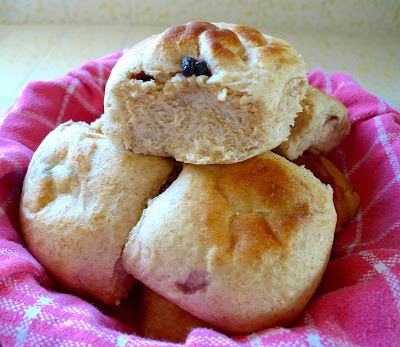 I chose to make her Sweet Cherry Wheat Rolls since I had some dried cherries on hand and I love the idea of having bits of fruit bursting with sweetness in every bite. The only change I made was to add some dried blueberries as well. The finished rolls were HUGE!!! Each one was super soft and fluffy to the max. They were oh so good straight from the oven. The only thing I'd change next time is to add more fruit (because I can never have too much fruit). But, otherwise, one bite and I just wanted to keep eating more and more. I've heard of wedded bliss before . . . this was true bread-ed bliss. In a small bowl, activate your yeast in 1/2 cup of warm water and 1 tsp. of sugar. Wait until yeast is foamy (about 10 min.). Combine your milk, honey, egg, sugar, butter, and yeast mixture. Stir until mixed. Stir in flour gradually until the dough no longer sticks to the side of the bowl. Knead in the cherries and blueberries and continue kneading for 8 min. until a smooth and elastic dough forms. Place your dough in a lightly oiled bowl, cover with plastic wrap, and allow to rise for 1 hour. Punch down the dough, divide into sixteen equal pieces, shape into rolls and allow to rise again on a parchment lined cookie sheet (about 40 min.). Bake at 350F for 15-20 min. or until just lightly golden. Remove to rack to cool slightly before serving. That glaze really sets these off. This cake is a work of art! This looks like the ultimate PB chocolate indulgence. I think one of the best parts about blogging is that it gives you the opportunity to be introduced to so many other amazing and delicious food blogs. In my opinion, it's better than a library of cookbooks because you have a real live person telling you about the recipes, whether it was good or bad, what problems they ran into, and they provide you with stunning pictures so you can see exactly what you're supposed to end up with. That just can't be beat. One of the newest blogs I just discovered was Crumb, simply named but full of mouthwatering recipes and accompanying beautiful posts. 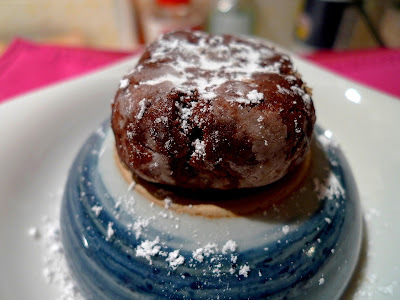 The recipe that caught my eye this time around was her Chocolate Mint Crackle Cookies. 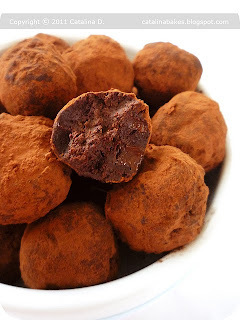 What with my sister coming to visit, and her love of all things chocolate, I just knew I had to make these for her. As you can see, there is just one lone cookie remaining. They were so yummy, wonderfully chocolaty with that cool hint of mint, and delightfully chewy. My sister loved them so much that she started packing up the entire batch to take back with her. At that moment, I had to quickly say, "Wait, leave me ONE cookie. I need to take a picture of it!!!" As for the rest of the cookies, I suspect they'll be eaten up in no time at all. In a large metal mixing bowl, sift together flour, sugar, cocoa, baking powder and salt. Using fingers, rub in the butter until evenly distributed throughout. Add eggs and peppermint extract, and stir until a thick dough comes together. Chill dough in the refrigerator until firm, about 1 hour. Preheat oven to 400F and line two baking sheets with parchment paper. Using a spoon or a melon baller, scoop out teaspoon-sized balls of dough. Pour the icing sugar into a small mixing bowl and add the dough balls, 2-3 at a time, rolling around to coat evenly with sugar. Arrange the icing-sugar coated balls 2″ apart on the prepared baking sheets and bake in preheated oven for 8-10 minutes, or until cookies are just set and have evenly crackled tops. What with autumn being upon us, I find myself wanting to make all sorts of recipes with warm, spicy flavors. And what better to fit the bill than a nice spice cake. 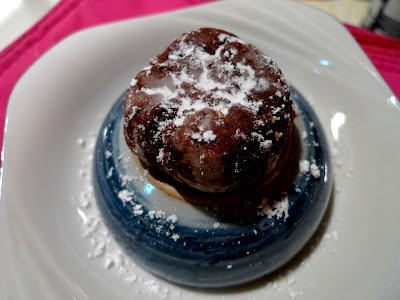 I found this recipe on the blog, The Hungry Mouse, and couldn't wait to try it out. It's absolutely full of all the best spices in the world, cinnamon, nutmeg, cloves, and a heaping amount of ginger. Together, they give this cake a delicious flavor that will keep you warm on those chilly fall evenings. I ate mine plain, but you can also top this with a cream cheese frosting like The Hungry Mouse did. Either way, it's a plateful of goodness. Combine the flour, baking soda, spices, and salt. Cream the butter and sugars. Add the eggs and mix well. Add the flour mixture in three additions, alternating with the buttermilk, beginning and ending with the flour. 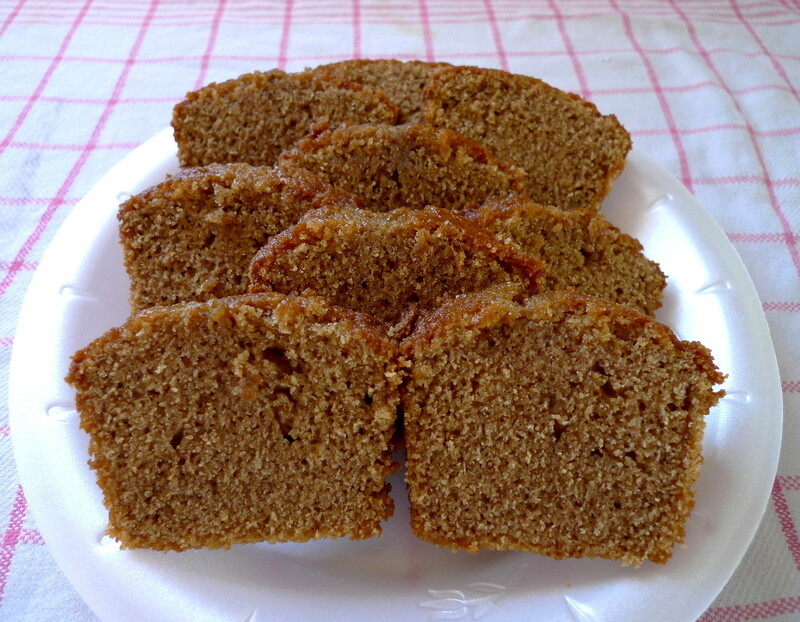 Pour into a greased and floured 8x8 pan or three mini loaf pans. Bake at 350F for 50-55 min. (8x8 pan) or 45-50 min. (mini pans) until a toothpick comes out clean. Frost with cream cheese frosting if desired, or just enjoy plain. 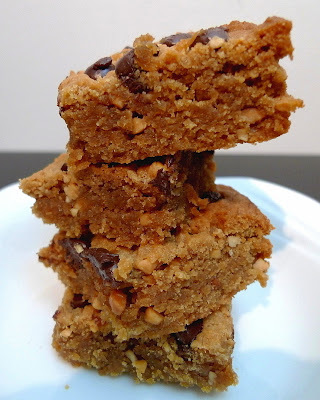 When I was assigned to Lesa's blog, Edesia's Notebook for this month's Secret Recipe Club, I immediately knew which recipe I wanted to make - Peanut Butter Blondies. So far, I had never been ever to find a recipe for it that suited me. The ones I made previously just weren't peanut buttery enough. From the looks of her post, it looked like Edesia had encountered the same problem. Her solution? She took this recipe, decreased the butter and increased the peanut butter. Now we're talking! How does 3/4 cup of peanut butter to 1 cup of flour sound to you? It sounded like a winner to me, so I eagerly went to my kitchen to try this recipe for myself. 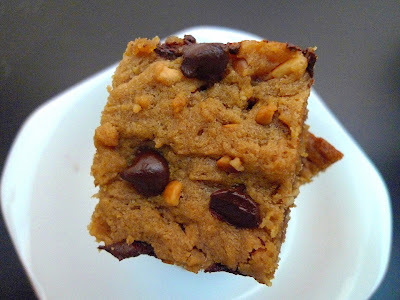 The only changes I made were to use crunchy peanut butter and semisweet chocolate chips instead of white chocolate chips. 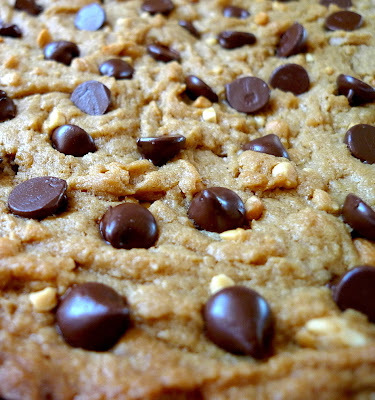 Memo to me: peanut butter + butter + brown sugar = pure heaven in a bowl. That beginning mixture alone was tempting; I literally wanted to spread it on everything. But, with extreme will power, I pressed on. 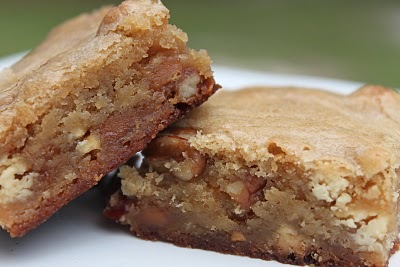 The resulting blondies were everything I could ever want. The peanut butter taste was front and center. Each bite was chewy and dense and the semisweet chocolate chips I sprinkled on top added the perfect touch. Thank you Lesa for helping me to finally find that perfect peanut butter blondie recipe! Preheat the oven to 350F. Grease an 8x8 pan. Cream the butter and peanut butter together until very soft. Add the brown sugar, egg, and vanilla extract, and beat until combined. Add the flour and baking powder; mix to form a dough. Spread the dough in the prepared pan and bake in the oven for 25-30 min., or until golden brown and almost firm in the center. 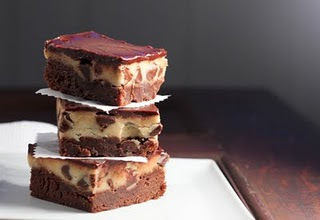 Allow the brownies to cool in the pan before removing and cutting into squares. These are so cute and crafty. I could eat the whole thing! These cookies have such a gorgeous color. Do you ever find yourself craving bread? At times like that, sweets just won't cut it for me. I need carbs, lots of them. This bread is just the thing to satisfy that craving. It's not sweet at all, even with the honey in it, and it is so soft and so chewy, almost reminiscent of a potato bread. There's just nothing like it when you remove it from the oven with its crackly crust, tear off a hunk, spread it with butter, take a warm bite, and ooohhhhhh. I made the bread into mini loaves, but I know without a doubt that it would be awesome made into dinner rolls. 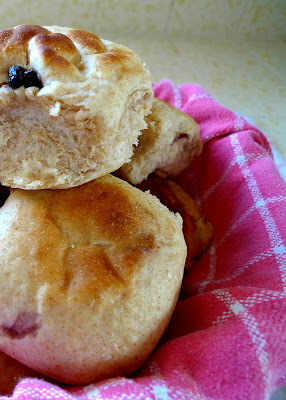 This bread recipe is going into my "favorites" list for sure. In a large bowl, combine warm water and 1/2 Tbsp. honey. Add the yeast and let sit for 5 min. until foamy. Stir in 1 cup of flour and mix well. Allow to sit for 5 min. so that the flour can absorb the liquid. Then, add in the remaining honey, yogurt, and salt. (Note: It will look like a lump of dough and it'll be a little difficult to beat the yogurt into it. Just beat it with all your might and the dough will even out into a thick, smooth batter.) Add the rest of the flour a half cup at a time until the dough no longer sticks to the side of the bowl (I used about 1 cup of flour). Transfer the dough to a floured surface and knead for 8-10 min. (During the process, I kneaded in about 1/2 cup more of flour.) You'll know you've kneaded it enough when it passes the windowpane test. Lightly grease a clean bowl with oil. Place dough in bowl, turning to coat the surface with oil. Cover bowl with plastic wrap and allow to rise in a warm place until doubled, about 1 1/2 to 2 hours. Turn risen dough onto a floured surface and knead for about a minute to remove air bubbles. Form dough into a ball and allow to rest, covered for 15 min. (Note: I missed this step but the bread still turned out great.) Grease two mini loaf pans. 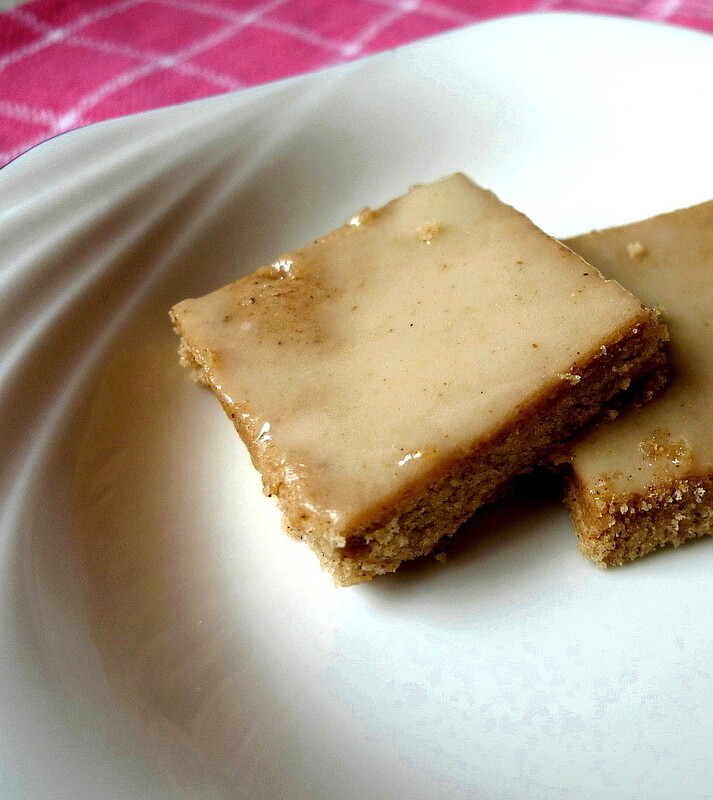 Divide the dough in half and roll or pat each one into about a 9x7 inch rectangle. Starting at the shorter edge, tightly roll dough up, jelly roll style, pressing the seam and the ends well to seal. Place loaves seam side down in the prepared pans. Cover loosely with plastic wrap and allow to rise until doubled, about 1-1 1/2 hours. Preheat the oven to 400F. Slash the top of each loaf lengthwise. Bake for 20-25 min., until loaves are golden brown. Remove from pans and allow to cool on wire racks. 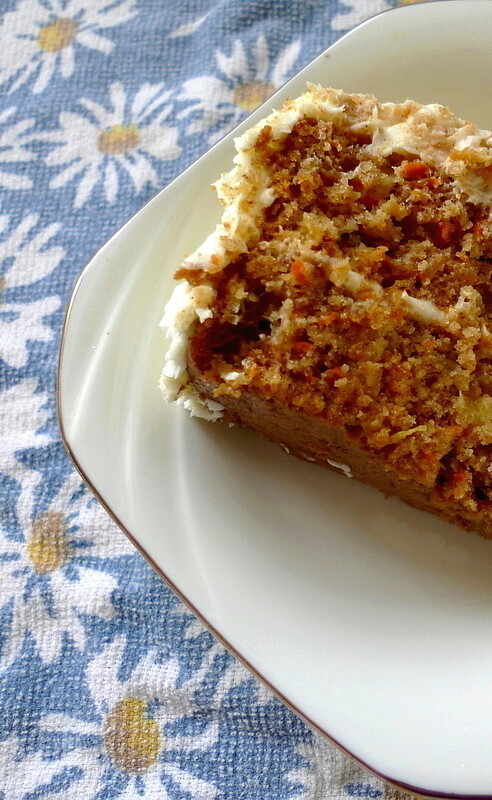 Katrina calls this "Divine Carrot Cake." I now call it, "The Cake That Saved Me From Disaster." I had plans to surprise someone with a birthday cake made from scratch. I had the recipe all picked out and was so sure that it was going to turn out perfectly. That night, I mixed it up, baked it up, and . . . was stunned in disappointment. 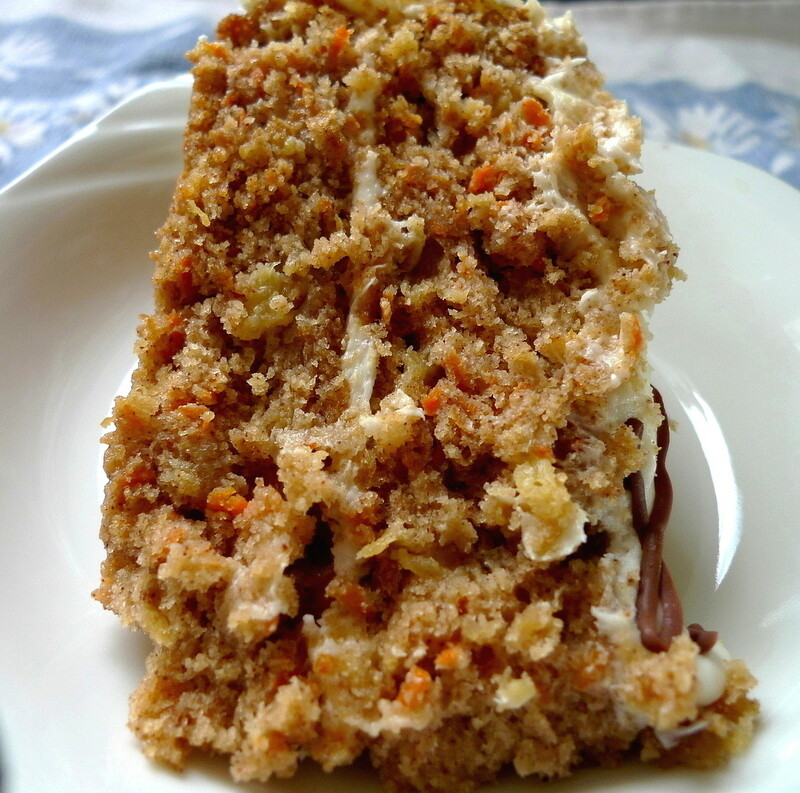 The cake was flat, lacked flavor, and had an odd texture. Worse still, it STUCK to my pans!!! I chalked part of the failure to the recipe and the rest to human error, fate, incompetence, whatever you want to call it. But, regardless of where to put the blame, it was a definite no-go. Into the trash it went. I just couldn't understand it. 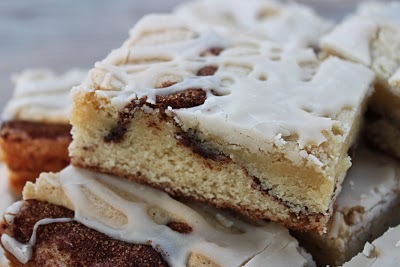 How is it that I can make cookies, brownies, breads even and yet, cakes seem to give me trouble. I was almost ready to throw in the towel and just go get a boxed mix (egads, the horror!!!). But, then I decided to give things one more try and use a different recipe. Carrot cake seemed like a good idea, and, although Bill's Big Carrot Cake was delicious, I wanted to try something different. I remembered that Katrina had a carrot cake recipe on her blog that she raved about, so I immediately went to check it out. 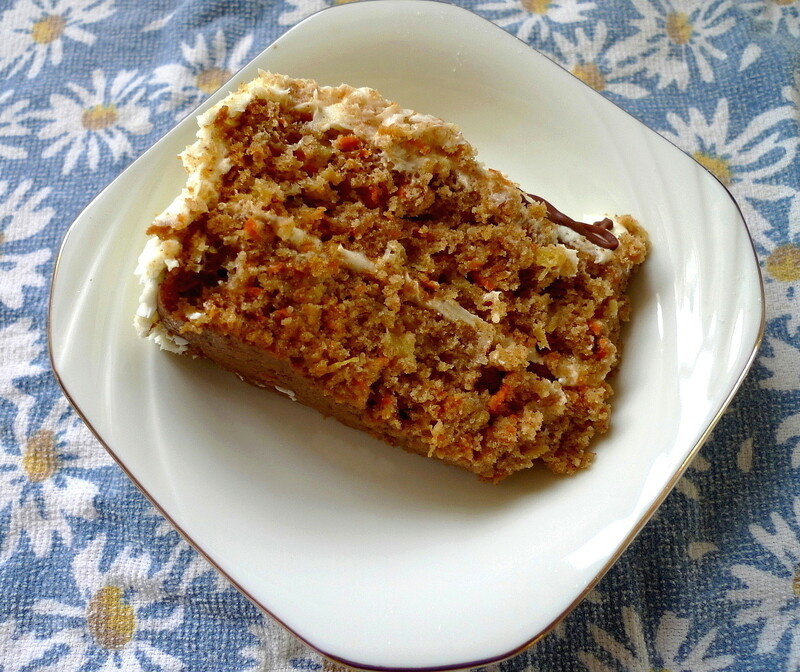 It's a lot healthier than other carrot cake recipes since it uses pineapple for moisture, which allows you to cut back on the sugar and oil. I did make a few changes to the recipe. 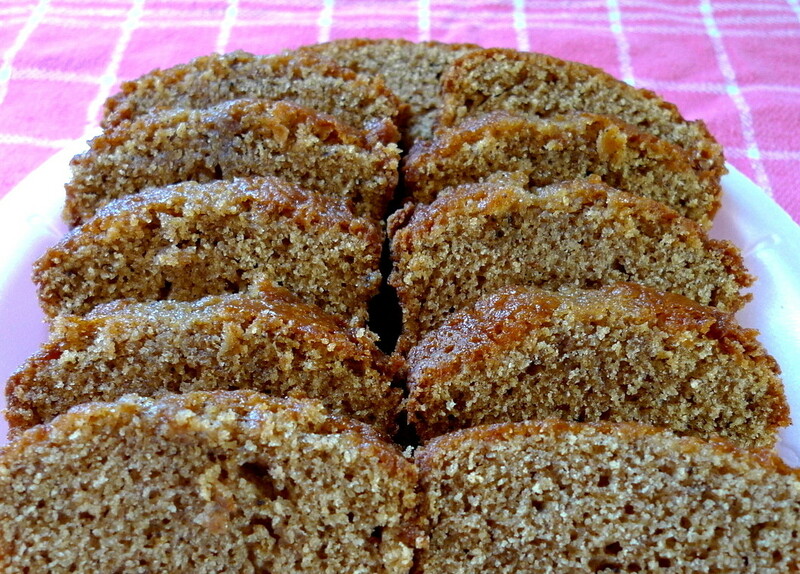 I used all-purpose flour, omitted the nuts and coconut, and added some ginger powder. I also subbed in 1/2 cup of brown sugar because I realized while I was making the cake that I was running super low on granulated sugar (are you kidding me??!!). This time around, I meticulously greased the pans, then put down a wax paper circle, then greased and floured the wax paper as well before pouring the batter in. I made sure to beat the batter good and hard and crossed my fingers. Oh my gosh!!! This cake did NOT let me down. It baked up beautifully, came out of the pans without a hitch, was super moist, and tasted like a dream come true. I frosted it with a lemon cream cheese frosting adapted from the one on Cinnamon, Spice, and Everything Nice and it was carrot cake perfection. The birthday surprise was a hit! The cake was proclaimed a keeper and I had redeemed myself completely. Thank you Katrina for saving my birthday surprise. And THAT is why I am nicknaming this cake, "The Cake That Saved Me From Disaster." Grease two 9" round cake pans. Cut out a circle of waxed paper or parchment paper to fit inside and grease the paper as well. Flour the pans. Whisk flour, baking soda, salt, cinnamon, and ginger powder in a medium sized bowl. In another bowl, whisk eggs, sugar, brown sugar, buttermilk, oil, vanilla, and reserved pineapple juice until blended. Stir in pineapple and carrots. Add the dry ingredients and mix with a rubber spatula just until blended. Scrape the batter into the prepared pans and spread evenly. Bake for 30-40 min. or until toothpick comes out clean. Let cool in pans for 10 min. before removing to cool completely on wire rack. 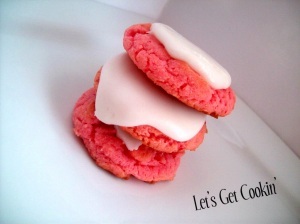 Frost with lemon cream cheese frosting when completely cool. In a large mixing bowl beat cream cheese, butter, lemon juice and zest until light and fluffy. Beat in powdered sugar until fluffy and of a good spreading consistency. My family is crazy for these muffins. With a name like that, how can you resist? Have you ever made something so good that you just had to give it away because it was too dangerous to keep in the house? 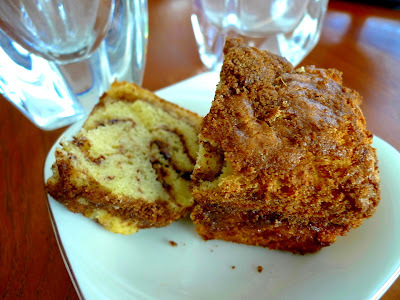 Well, that's how I'd describe this Cinnamon Bread that I found on the blog, Closet Cooking. 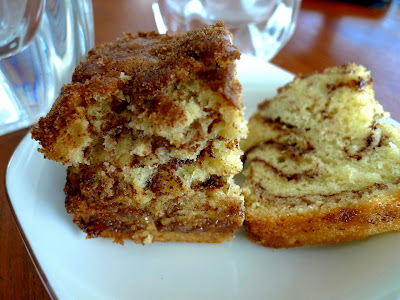 It is the absolute epitome of cinnamon breads and I don't think I'll ever try any other recipe because THIS IS IT!!! 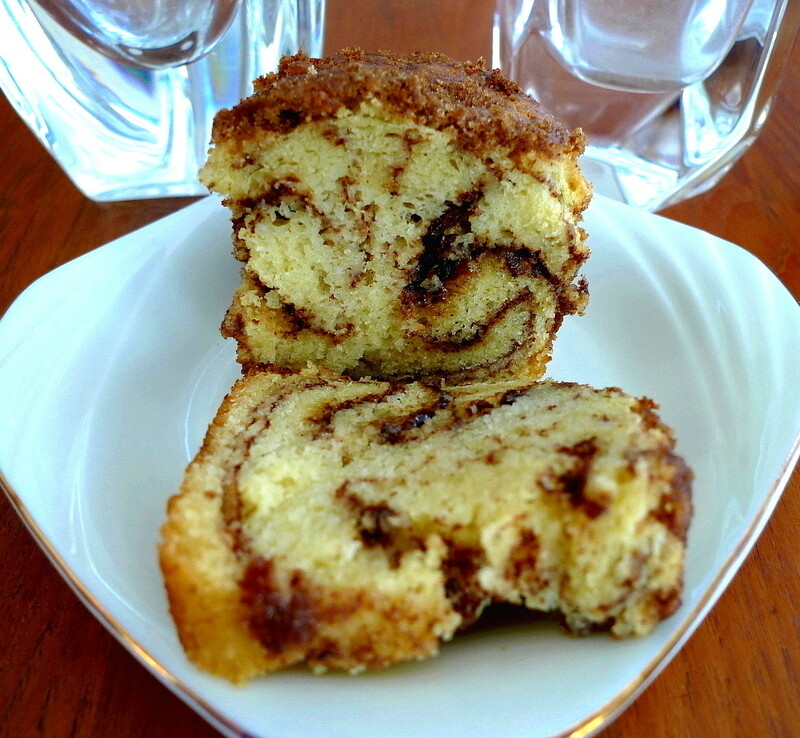 It uses a whopping TWO tablespoons of cinnamon. That sounds like a lot, but believe me, this is not the time to get timid and skimp on it. To use anything less would defeat the purpose of making this bread. Just imagine it - a dense, tightly crumbed cake . . .
with ribbons of ooey gooey cinnamon sugar filling running through . 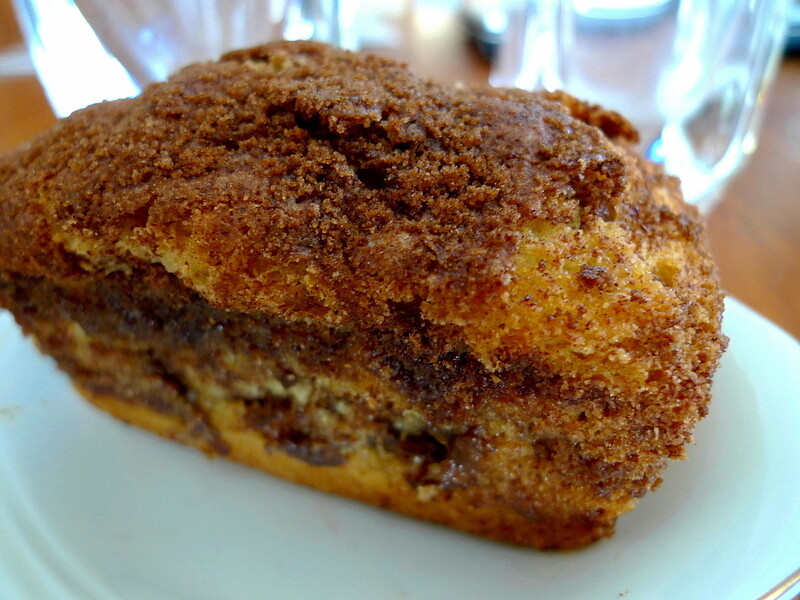 . .
and a crackly cinnamon sugar crust to top the whole thing off. 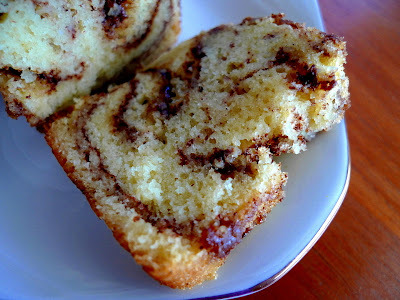 One bite and I was in cinnamon heaven. I'd eat (or inhale) all three mini loaves if I could, without hesitation. But, I'm trying to be "healthy," so I kept one loaf and found good homes for the other two loaves as fast as I could. I'll leave it to the lucky recipients to exercise self-control as they see fit. But, one look at this bread and I think all their will power will fade in an instant . . . Cream the butter and sugar until light and fluffy. Beat in the eggs, salt, and vanilla. Sift together the flour, baking soda, and baking powder. Add alternately to the creamed mixture along with the buttermilk, beginning and ending with the flour mixture. 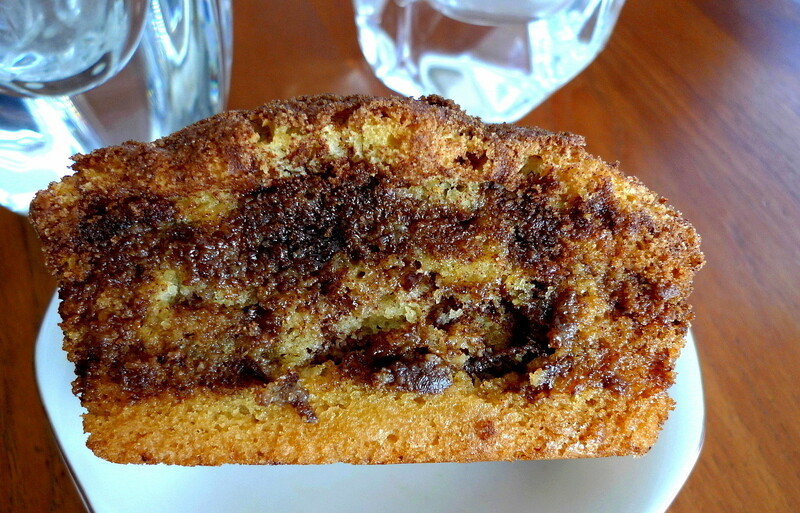 Combine the brown sugar and cinnamon together until well mixed. Spoon 1/3 of the batter into a greased 9x5 loaf pan or three mini loaf pans. Sprinkle with 1/3 of the cinnamon mixture. 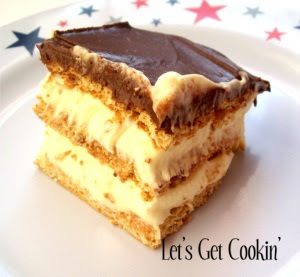 Repeat the layers twice more, ending with cinnamon on top. Bake at 350F for 1 hour (large loaf) or 40-50 min. (mini loaves) or until it tests done when a toothpick inserted comes out clean. Let rest in the pan 10 minutes before removing from the pan to cool completely. 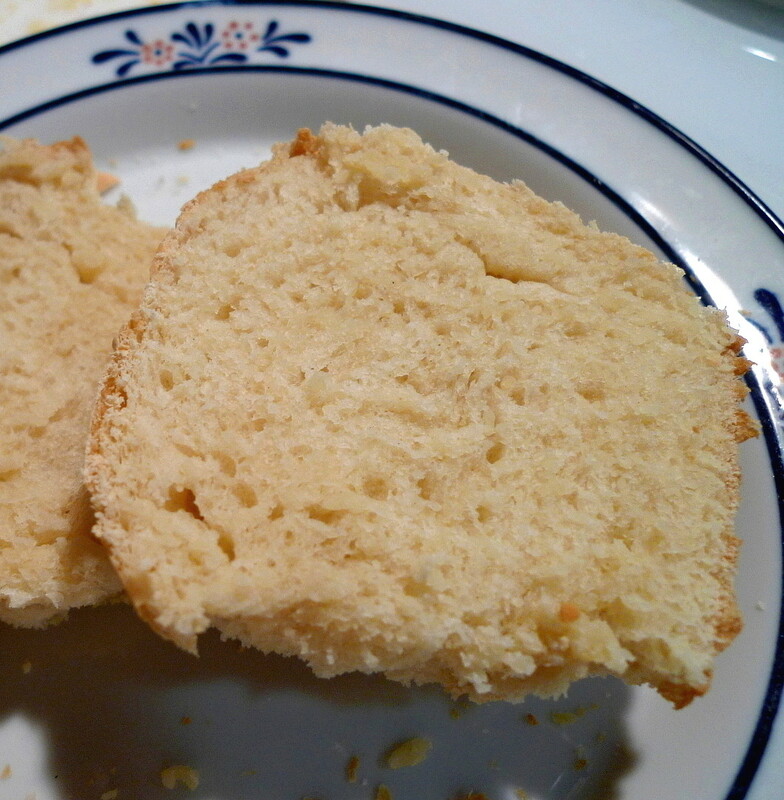 Note: If making mini loaves like I did, use the batter in 1/3 cup increments and top each layer with 2 Tbsp. of the sugar-cinnamon mixture.